A fund manager has crushed 98% of his competitors by shunning one of investing's most-trusted strategies. Here's his blueprint for success. 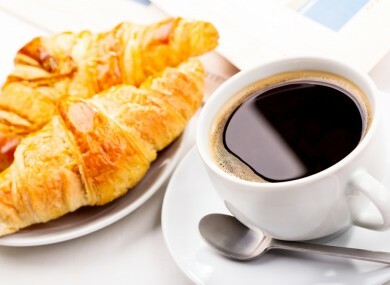 WOULD YOU LIKE to have woken up to the smell of coffee or croissants this morning? An 18-year old who hated the noisy blare of his alarm clock every morning decided to invent SensorWake, the world’s first olfactory alarm clock that wakes up users with their favourite scents. Guillaume Rolland said he premise is simple: put a capsule in an alarm clock, each of which has the capacity to wake you up 60 times. According to the French teen, it is 99 percent guaranteed to gently wake you up from your slumber in under two minutes without frustration. The selection of SensorWake scents is endless, as you can find the scent of croissants, coffee or even the smell of money. “Credibility was the biggest challenge,” Rolland told Business Insider. Rolland is the youngest person ever to fund a Kickstarter campaign in under 48 hours. The young entrepreneur set up a Kickstarter campaign initially asking for about $50,000 to develop a prototype. To date, the device that pledges to “make your mornings happy” has raised $193,337. Rolland’s attempt to revolutionise the alarm clock also earned him a spot in the top 15 “inventions that can change the world” at Google’s Science Fair, making him the first French person ever recognised at the annual global event. Givaudan Fragrances Corporation, the leading fragrance company in the world, is Rolland’s business partner. The two paired up to produce the capsules and made sure that the recyclable capsules release aromas that are allergen and solvent-free and “respect the world’s strictest norms”. So, what happens if you have a cold? If your sinuses are clogged up, will you miss your morning train? Rolland thought of that too. The Sensorwake team is currently five people strong, but Rolland wants to recruit more manpower from the US and UK since those are the targeted selling areas. The SensorWake classic, two capsules included, hopes to be available for retail next summer for $89. Email “A teenager has invented a clock that wakes you up with your favourite smells”. Feedback on “A teenager has invented a clock that wakes you up with your favourite smells”.